I couldn't make Bishop Schneider's Pontifical Low Mass in Reading last Sunday because I was needed to sing at our monthly EF Mass in SS Gregory & Augustine's in Oxford. That's life. 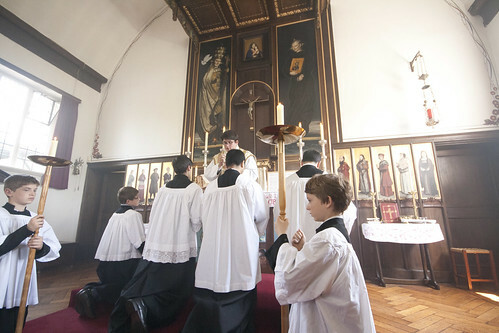 Bishop Schneider will be celebrating Pontifical Low Mass again this Sunday, in the London Oratory. 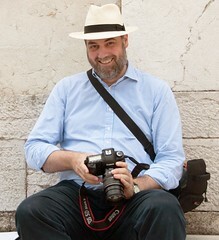 Tomorrow he and Joseph Pearce and others will be speaking at the LMS One Day Conference in London. You can get tickets on the door: details here. 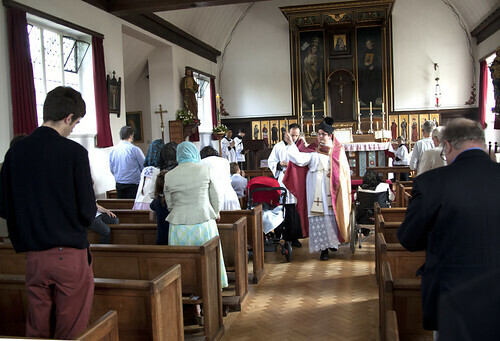 Last Sunday Mass was celebrated in SS Gregory & Augustine's by Fr Daniel Lloyd of the Ordinariate of Our Lady of Walsingham; Fr John Saward was away. Traditionalists do not want to affirm extra ecclesiam nulla salus. Another wasted conference in England today.